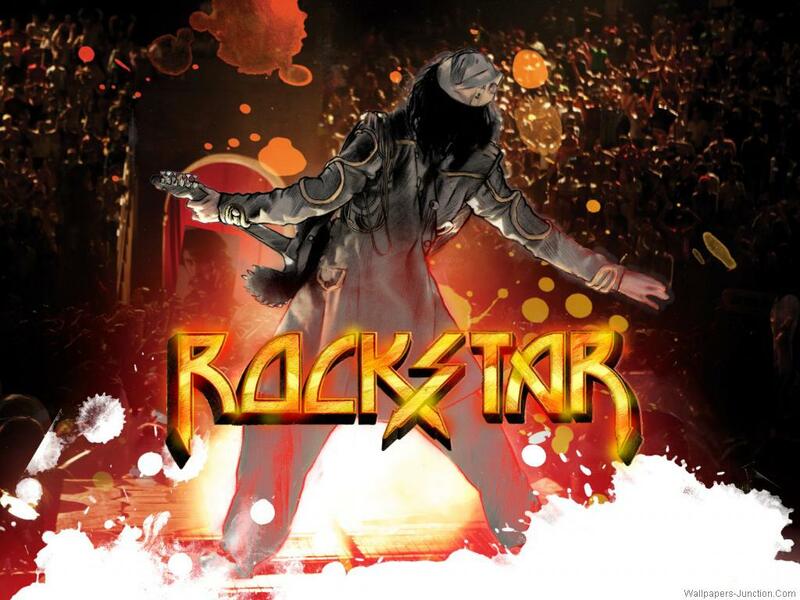 Rockstar’s one hugely awaited album of the year, since Rahman is back after a really long hiatus! And to compensate it all, there are 14 songs in total! A real treat for music buffs! 1.Phir Se Ud Chala: Amazing guitar decking here. Apt vocals combined, makes it an instantly impressive number though repetitive in its course. Good start to the album. 2.Jo Bhi Main: Important number in the album, starts off like Vaanam’s Deivam Vaazhvadhu Yenge and proceeds to pure unfazed mellow rock, spiced with melody, a la Aaromale of Vinnaithaandi Varuvaaya(2010). The tune is extremely catchy, not on first listen though! Mohit sounds perfect here. Impressive guitar-decking here too! 3.Kateya Karoon: A remix, yet sung with much panache by Harshdeep Kaur, backed by Sapna Awasthi who impressed in Raavan. Infectiously energetic, the fun album in the number, Reminiscent of ARR’s Kuchi Kuchi Raakamma days..But the best point in the song is ofcourse the transition between the folk and the melody portions. Masterpiece of a transit! 4.Kun Faya Kun: This started out to be my album’s first pick since the promos. When it’s ARR and Sufi, and you have a strong vocal like Javed Ali in the helm, it’s pure bliss. And the best part of the song is, the transit from Quawwali’s Harmonium to the guitar, sheer marvel, and Mohit’s vocals seem to be the icing on the cake! ARR could have been toned down a little at places though. Straight into the leagues of Tere Bina, Khwaja Mere and Arziyan. 6.Hava Hava: Latin’s the way to go! A dedicated Mexican number that is instantly likeable due to it’s amazing array of vocals, Mohit and an additional troupe with Tanvi, Suvi and Pop Shalini who all have been immensely liked for their individual pep numbers. A masterpiece, in terms of arrangements. When it’s Mex, it’s almost always that directors find a simple known tune, and add some spice to it, But kudos to Rahman for taking the untrodden approach towards the genre. 7.Aur Ho: This one explores the other end of the romance spectrum, pathos. Backed heavily by strings, this seems like ARR’s sequel to Tu Hi/Enn Uyire from Dil Se. Mohit’s vocals take it to new dimension, whatte feel! 8.Tum Ko: So melodious, no other words to say. It’s tough to digest the fact this was sung by a 53-year old veteran singer Kavita Krishnamoorthy. Wonderful orchestration behind, especially towards the end. Love the layering in ARR’s melodies always! 9.Naadaan Parindey: Tango between Rahman and Mohit this time. Eclectic tune, grows on you over time. Supported by rock guitars and beats, the fast paced number is a unique experiment. ARR scores an edge over Mohit here though! 10.Tum Ho: No, that was Tum Ko earlier, No confusion! This is entirely contrary to the slightly differently titled track. Kind of the normal romantic number we’ve been hearing over decades. Sounds familiar, though Suzanne’s humming is delightful as always! A small dip in the album’s appeal, only to be shrouded by the magic of the next. 11.Sadda Haq: Even the title suggests, In every right, this album’s finale song could turn out to be the year’s youth anthem!What an energy this song’s got! And Oriantho(incidentally, MJ’s last lead guitarist) makes a bang with the rock theme throughout the song. Mohit is out-of-the-world. The way the song slowly picks up momentum to unleash the demon, a sure winner was predicted on the promos itself.Thumbs up! And now, we have 3 instrumental pieces left. Tango for Taj is an extremely pleasant listen, relying totally on the smooth motion of the song, and wonderful work with the piano! You can picture the couple on a tango right in front of your eyes as you listen. The Meeting Place is a poem written by the Sufi poet, Rumi. Totally Ranbir reciting the poem, in the backdrop of ARR’s deep pensive chords. The Dichotomy of Fame. Whatte title first! Amazing fusion of instruments, the shehnai just sounds mind-blowing. Touches your heart instantly. Guitars dance their way to end the extremely emotional masterpice! The starting portions do remind me of Illayaraja’s amazing score in Mouna Raagam. There’s no way am going to give individual marks for each song this time. Way beyond rating. I just go with a central final rating. Let the listeners tell me what if it’s underrated or overrated on the poll below. Best and most different album from Rahman sir. we should feel blessed that we got to hear his music in the crowd of rubbish indian music. Excellent album from ARRji.. He agains proves that he is a maestro.. A pleasant and varied kinda music.. Feel fresh composition…!!! All songs are different and catchy.. If you listen this album for couple of times.. you will fall in love with ARR and rockstar.. Thats for Sure..